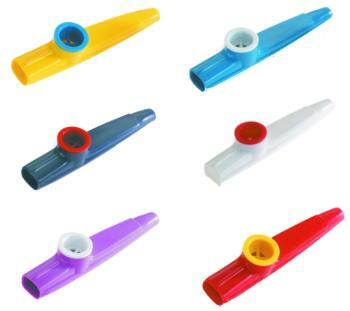 Trophy plastic kazoos. Multiple colors. Packaged individually on shrink-wrapped card.